Gf and I walked to the store from our place. We live in a gated complex with a back entrance that doesn't even show up on google maps as a road, but that gate lets you out right by a Sprouts. So that's the way we walk out. We spend maybe 20 minutes getting stuff? We weren't there for very long. Anyways we head back home the way we came. As we're walking we can't help but notice that there's a helicopter circling overhead, and it's orbit is centered suspiciously close to where our house would be. As we approach the back gate, we can't help but notice it has been rammed open. Once we're inside we see the ~20 cop cars that are backed up around the corner. The place has a rectangular-ish road that loops around the complex, so from where we're at we can't really see what all the hubbub is about. As we get closer, it's staring to look like the beginning of the cop train snakes all the way to where our cars are parked. Turns out, the police had chased someone on the freeway when they tried to escape with some backroads. 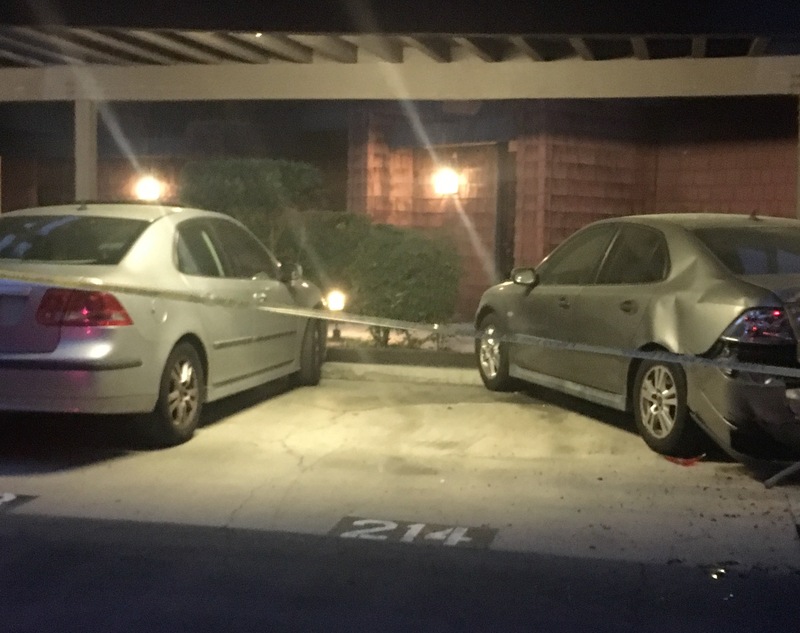 They rammed through the gate, did about 60 mph through the 5 mph speed bump-ridden complex road and ended up at my gf's bumper. 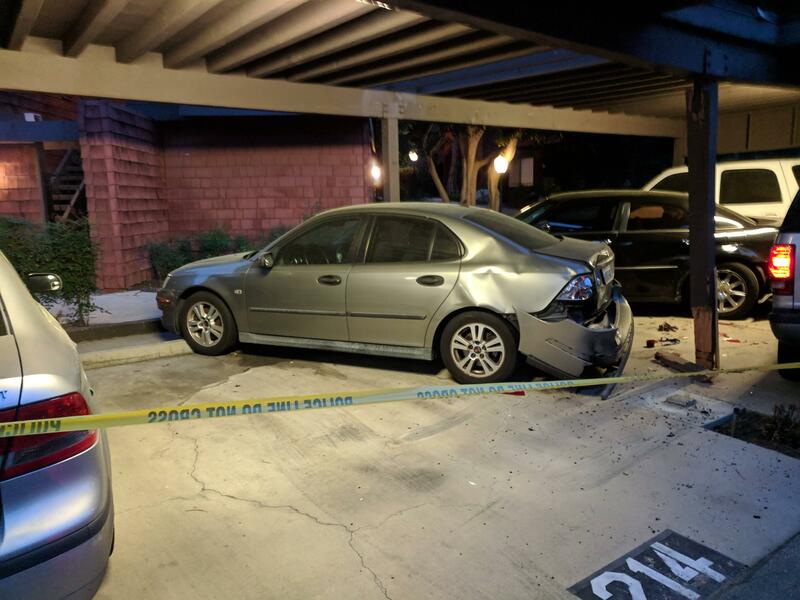 They busted the support beam for the car port, hit her car, rammed it into the one next to it, that car into the one next to it, and one more at the end of the line: also my gf's car. Thankfully the one at the end was her daily driver, which seems to have sustained only superficial damage, whereas the disused Saab got obliterated. One of those cars also had a motorcycle mounted on the back which got banged up. Yeesh. When the cops got out the fired a beanbag through the back window of the (I'm guessing stolen) SUV, then subdued the suspect. My car, the silver Saab, was narrowly spared from being hit. It must have been a difference of inches. Looks like you might be learning intricacies of auto insurance that most of us never consider. I do not envy you. 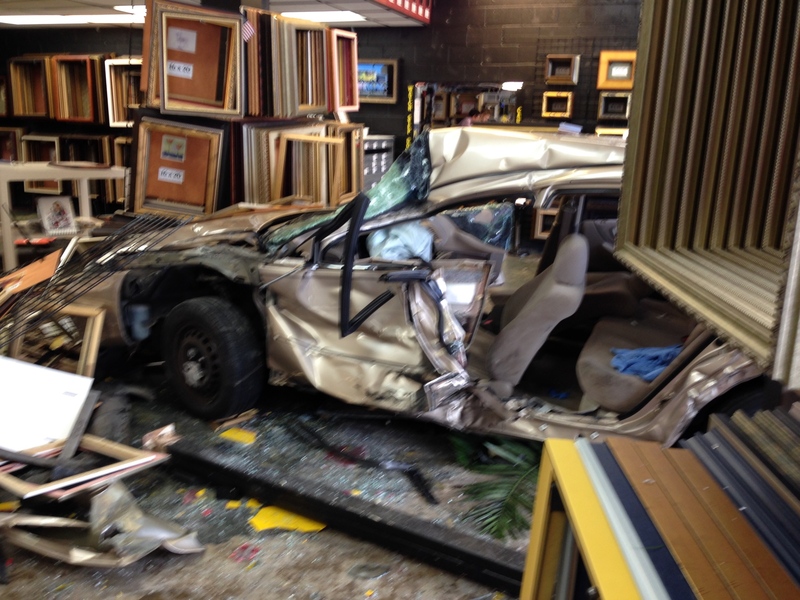 At work a few years ago a car drove through the front window. I don't imagine the driver of the probably stolen car had insurance. I'd be very interested in knowing if gf's insurance goes up just because she was in the way of a stolen car. In the U.S., at least, it's illegal to increase premiums based on an accident that wasn't your fault.